This article will guide you on how to copy media files from your computer or other network devices to the Network Media Hub. NOTE: To learn how to copy media files to the Network Media Hub Series using a Mac computer, click here. Open the folder where the media files are located. 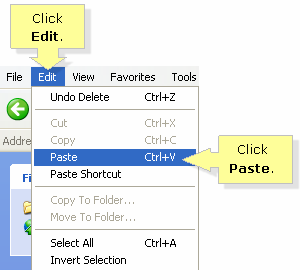 Right-click the file or files and Copy. Open the media\music folder of the Media Hub. This path is created when you map a drive to the Media Hub. To learn how, click here. NOTE: If the files you selected are videos or photos, you need to open the media\videos or media\photos folders instead. Select Edit then click on Paste. 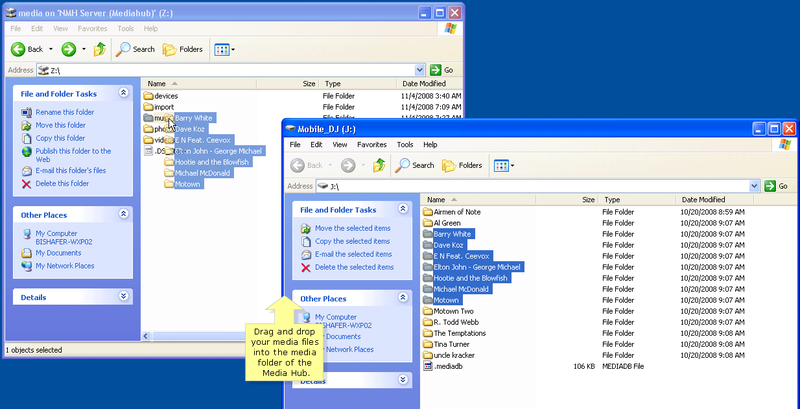 QUICK TIP: You can drag and drop your media files into the media folder of the Network Media Hub.